Select, cut, fold, paste, cut, create fancy edges, paste... wait! 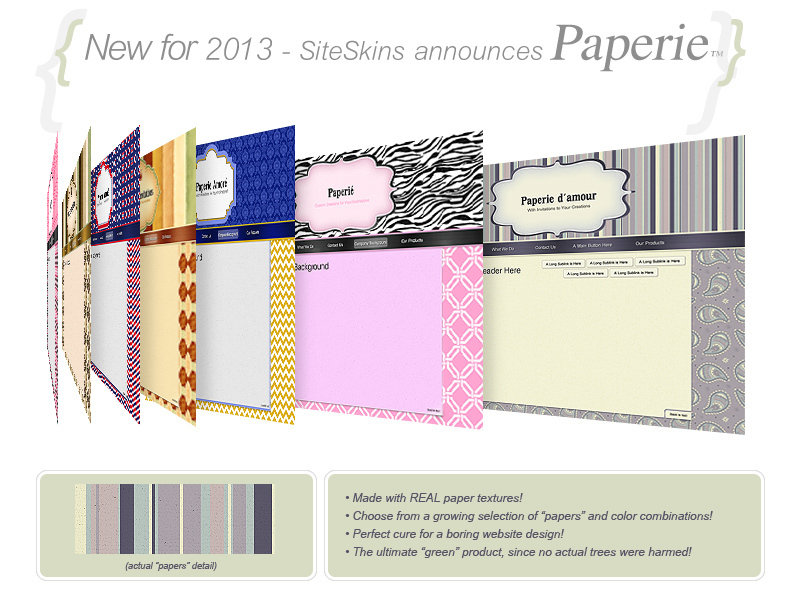 You won't need to do any of that to enjoy our new PAPERIE skin series from SiteSkins! This exciting new skin series was designed to give the preppy, classy, fun, whimsical feeling of cut papercraft, interpreted for a website design. Re-skin to one today. It won't cost a thing and it just might change the way you (and others) view your business! To re-skin, click "Skin" in your control panel and sort by SERIES, using "Paperie" as the pull-down selection.